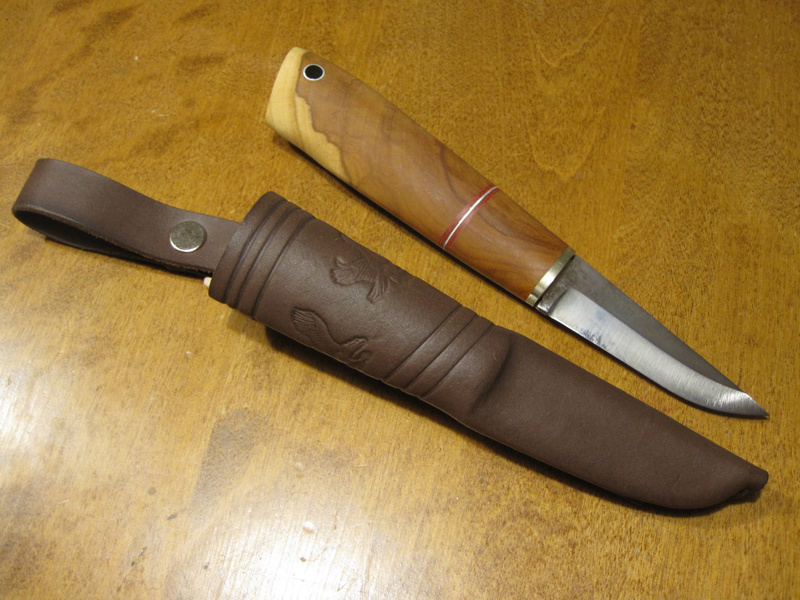 Enzo Nordic and Turkish walnut. 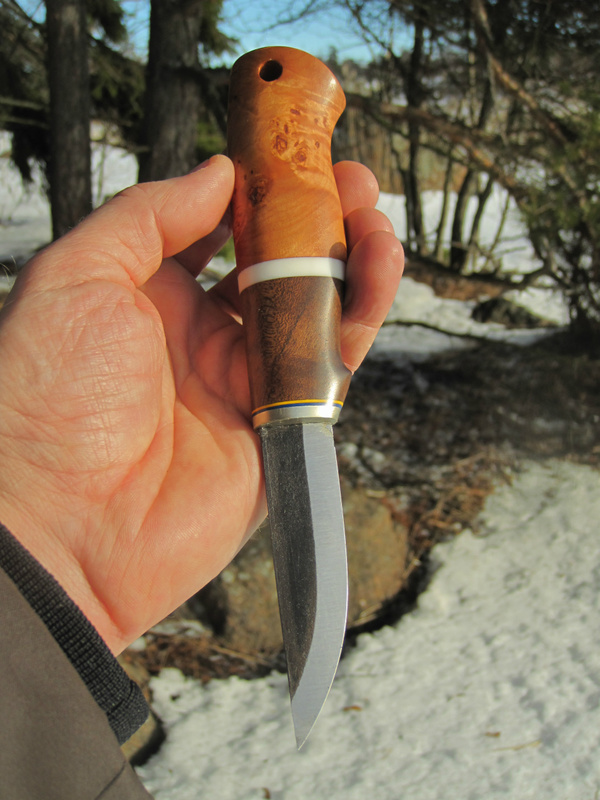 Enzo Nordic 12c27 and stabilized Ash burl. 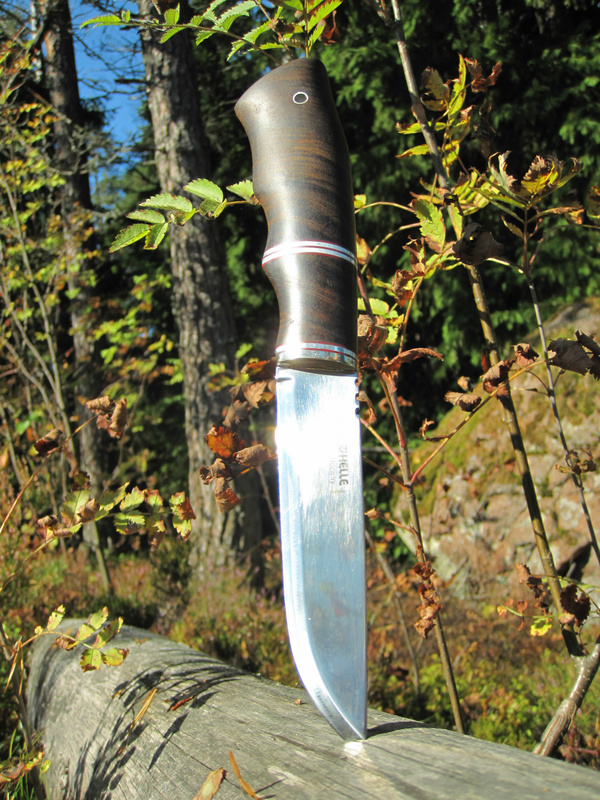 Carbon steel Roselli hunter knife with curly birch and Bog Oak, special cut design. 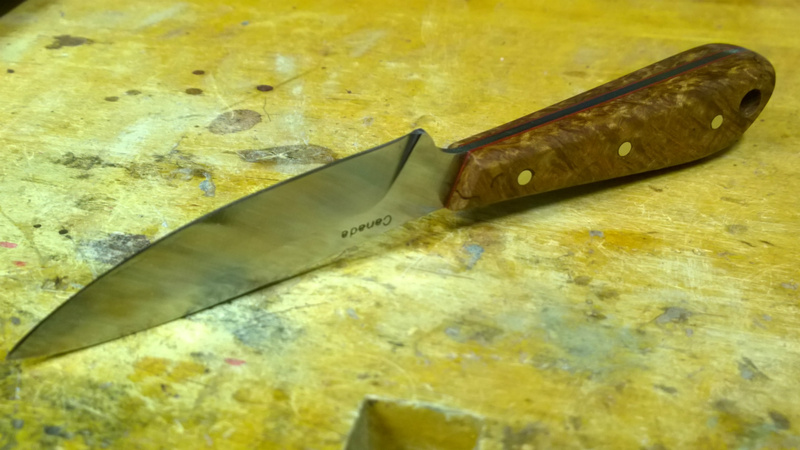 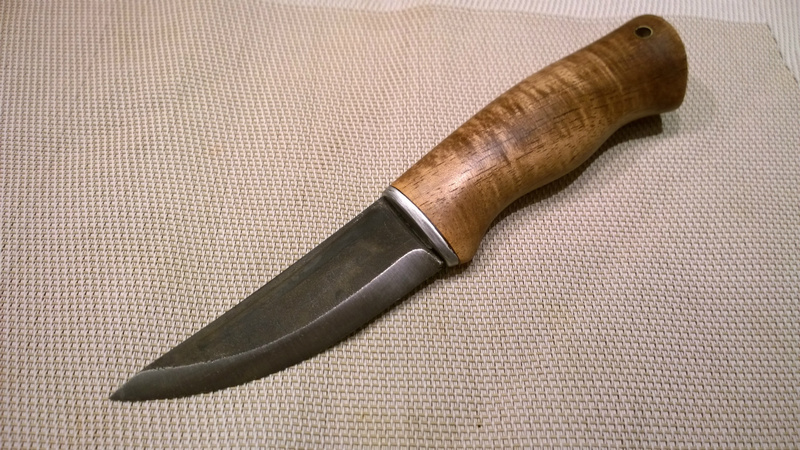 Roselli carbon steel carpenter knife and Sallow root+Turkish walnut. 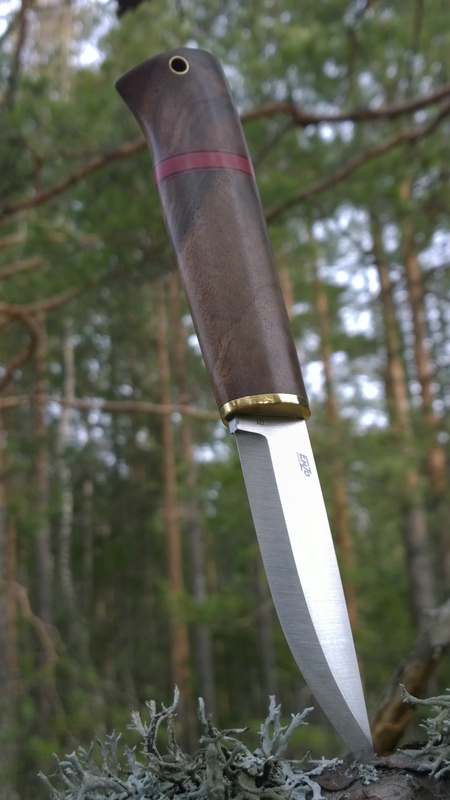 Lauri carbon steel and birch bark with brass end decoration. 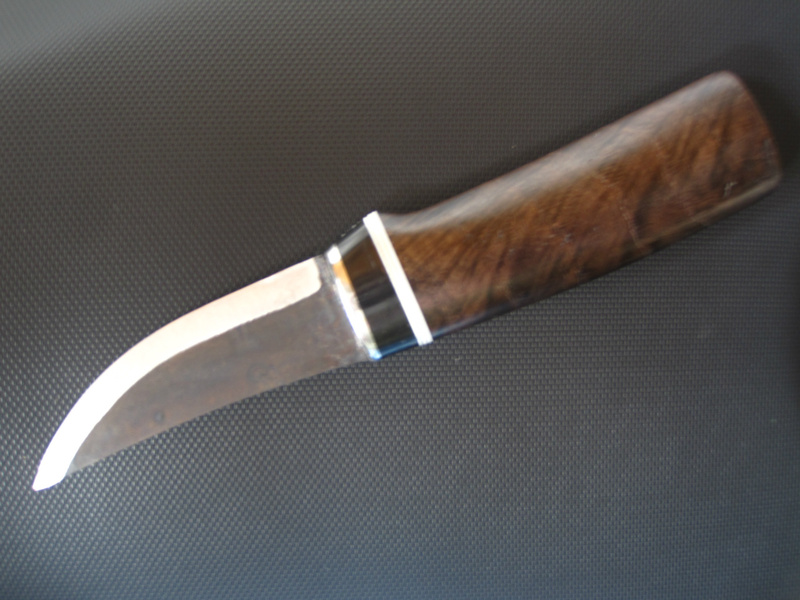 Curly birch tinted in black stain. 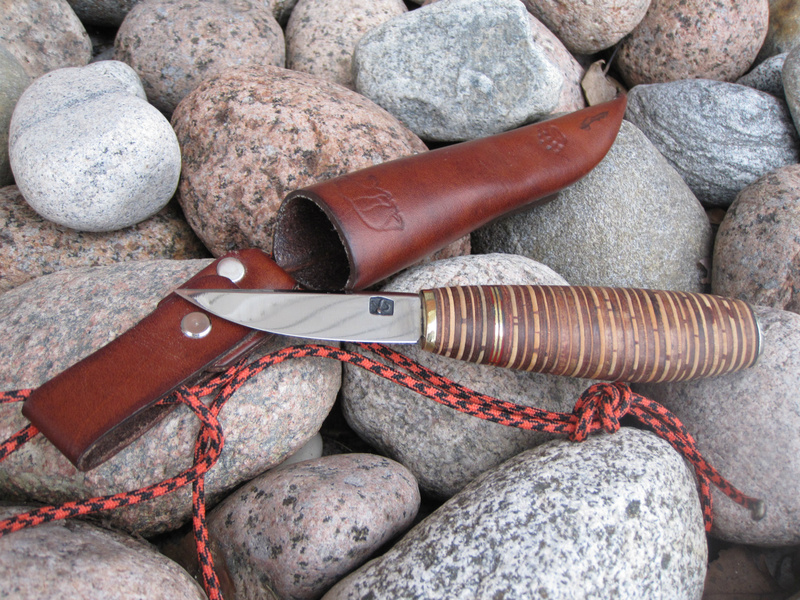 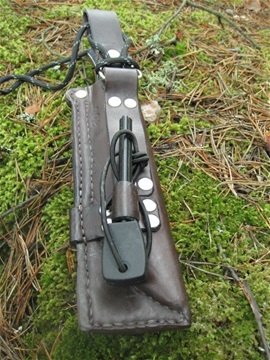 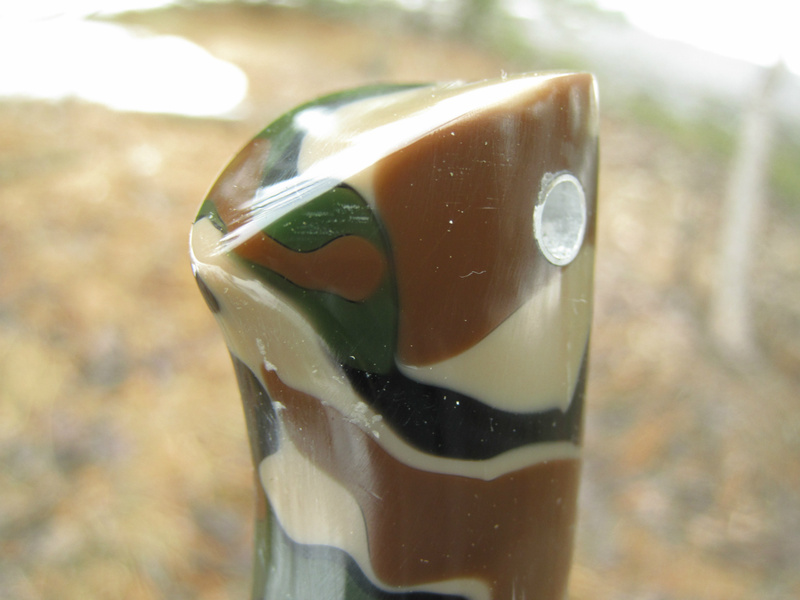 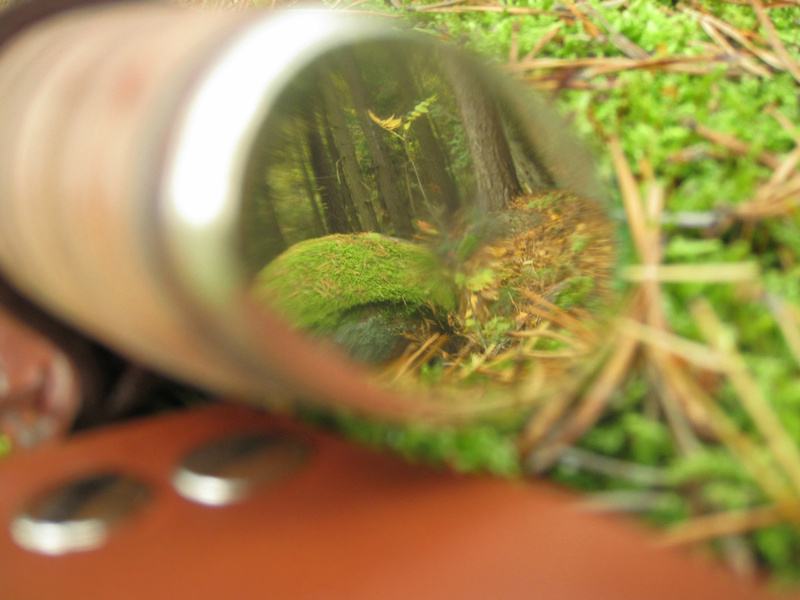 Field dressing, opening knife for a hunter. 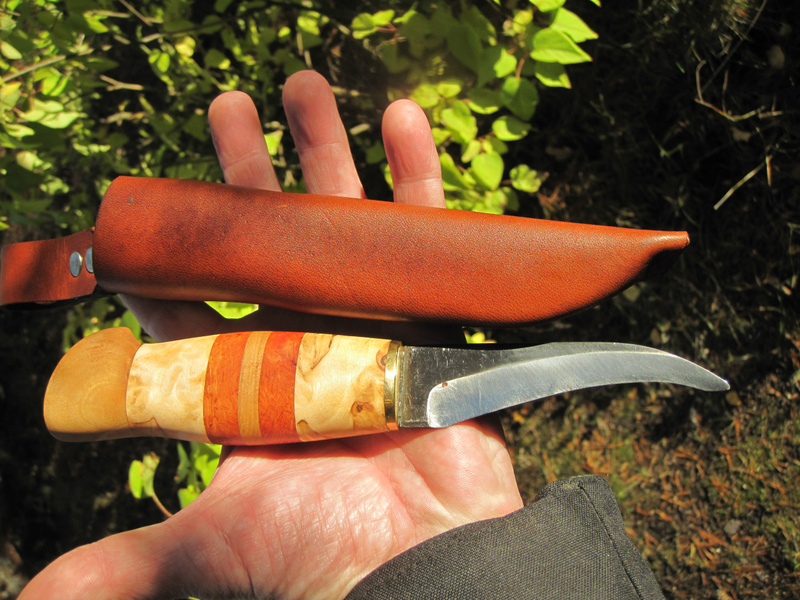 Huge Roselli Laplander for Taro, birch bark handle. 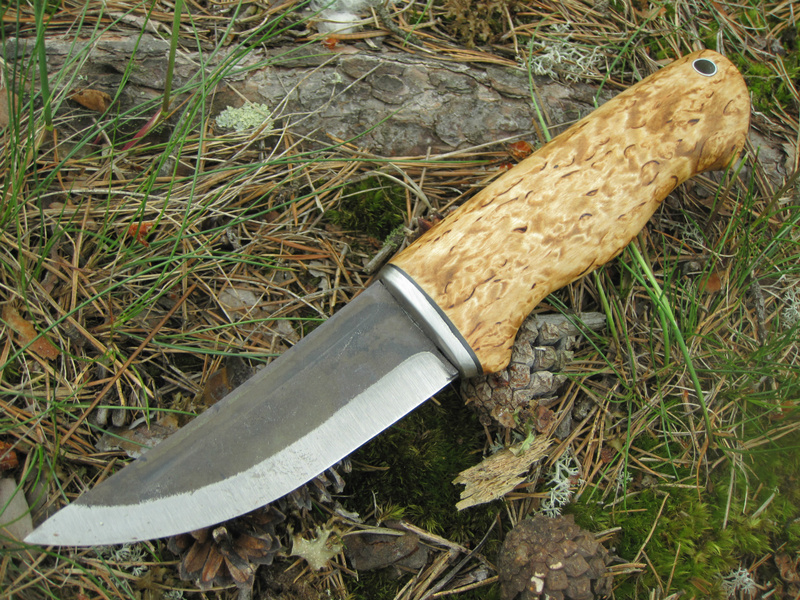 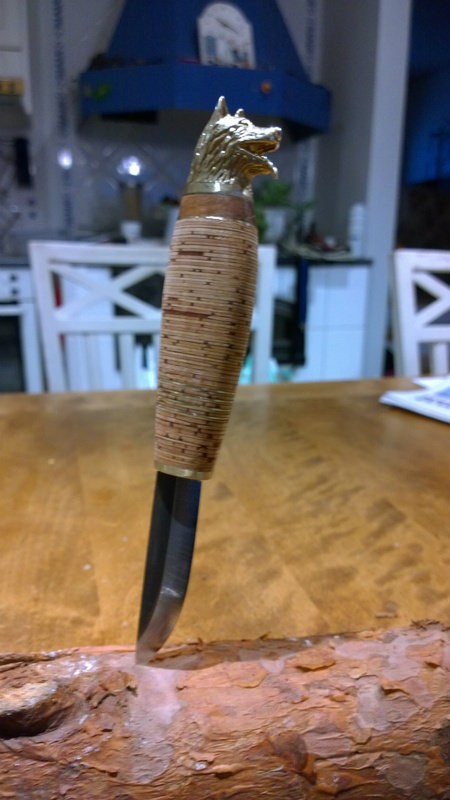 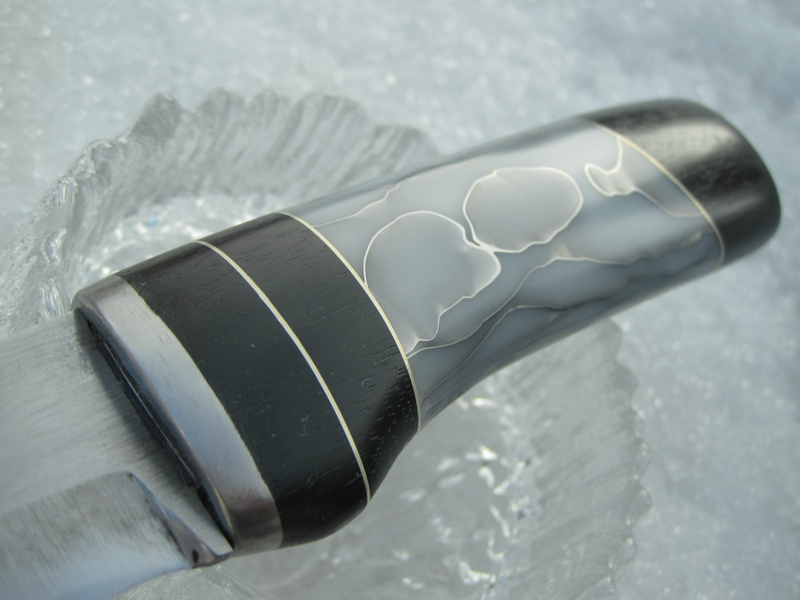 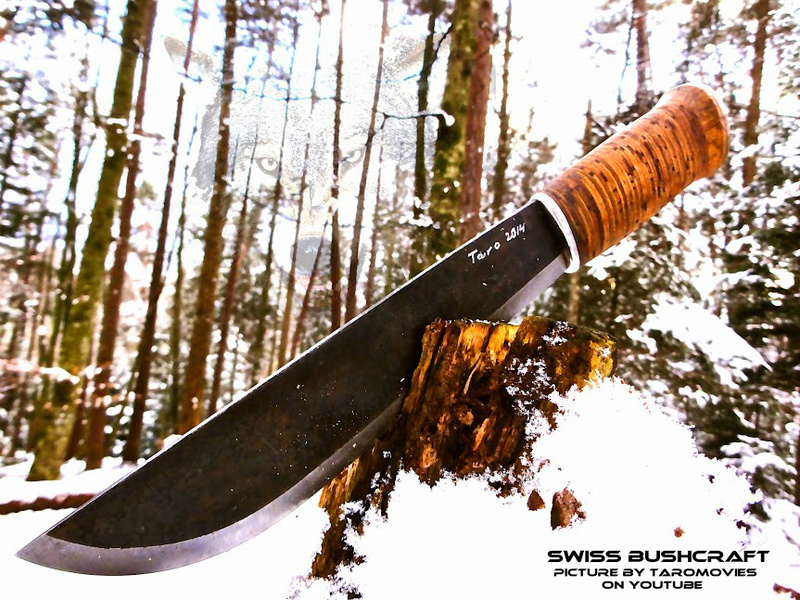 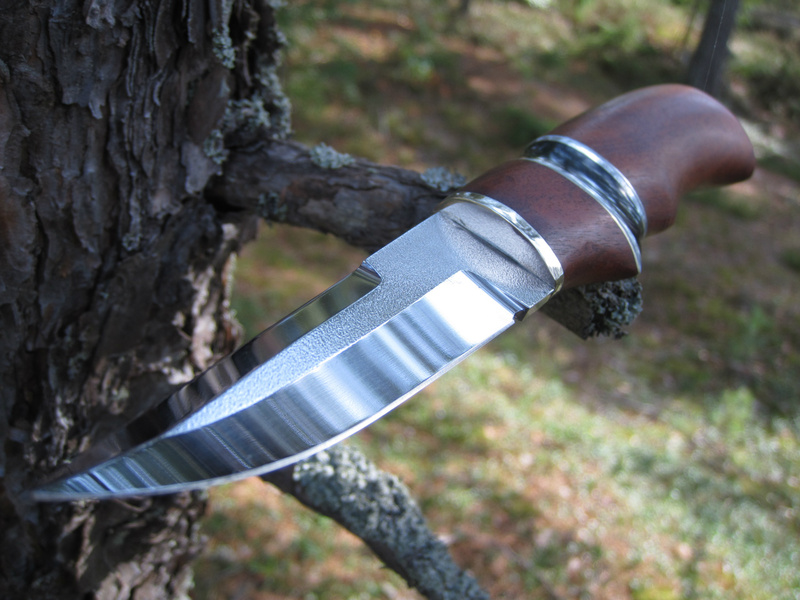 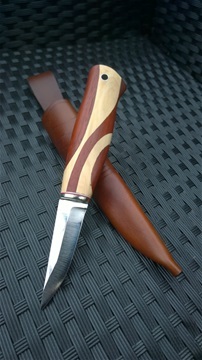 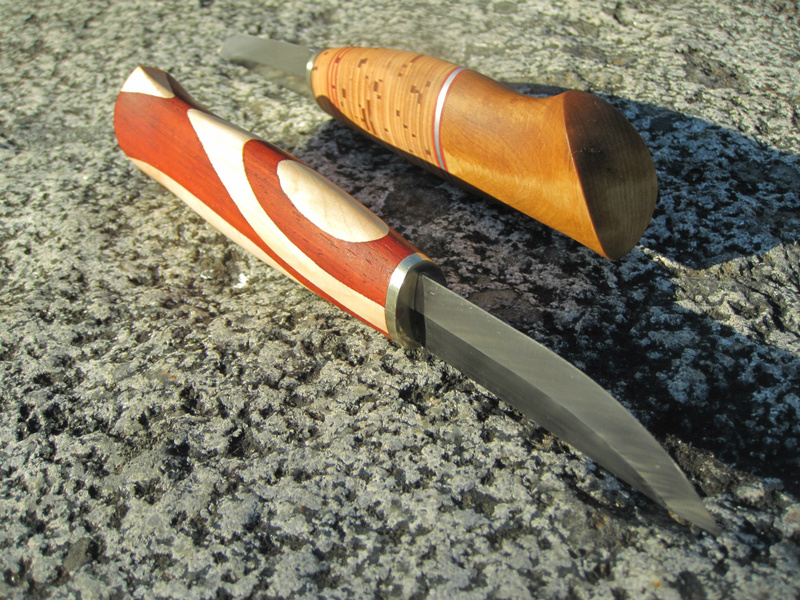 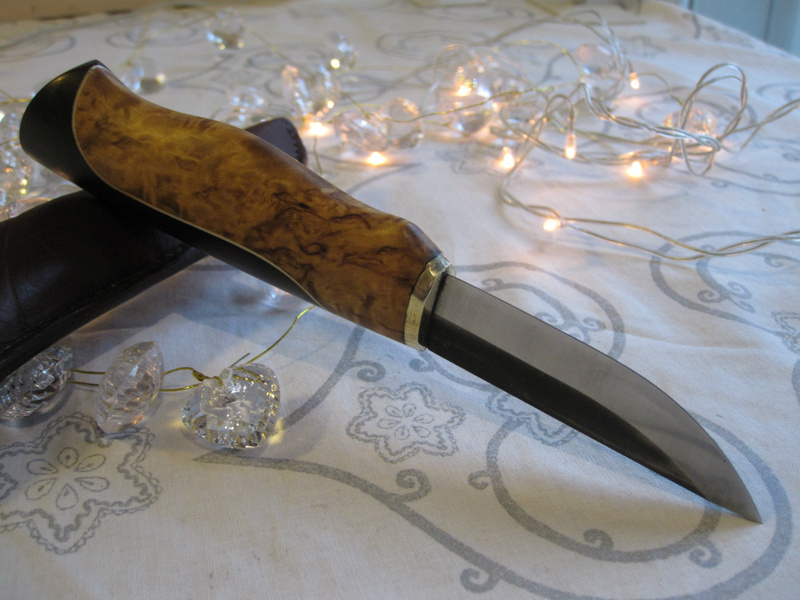 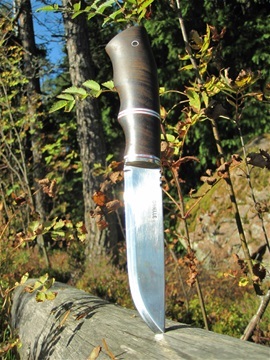 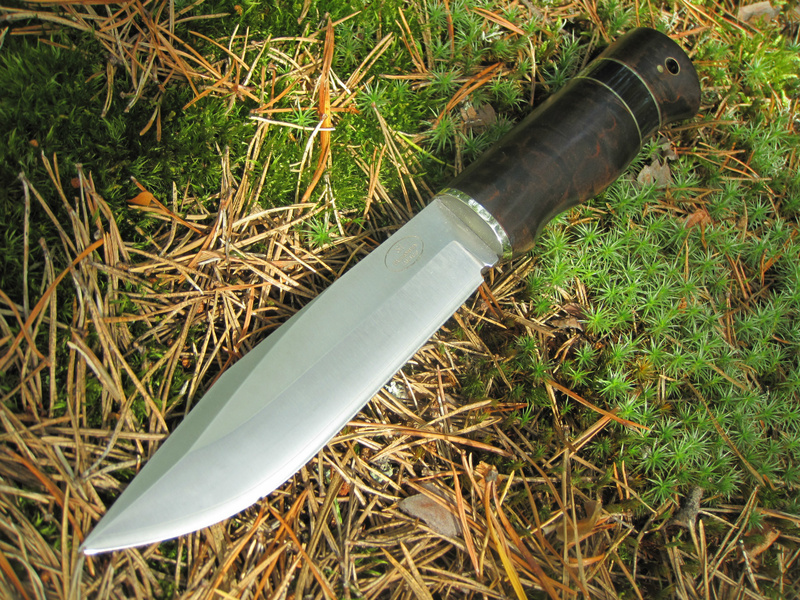 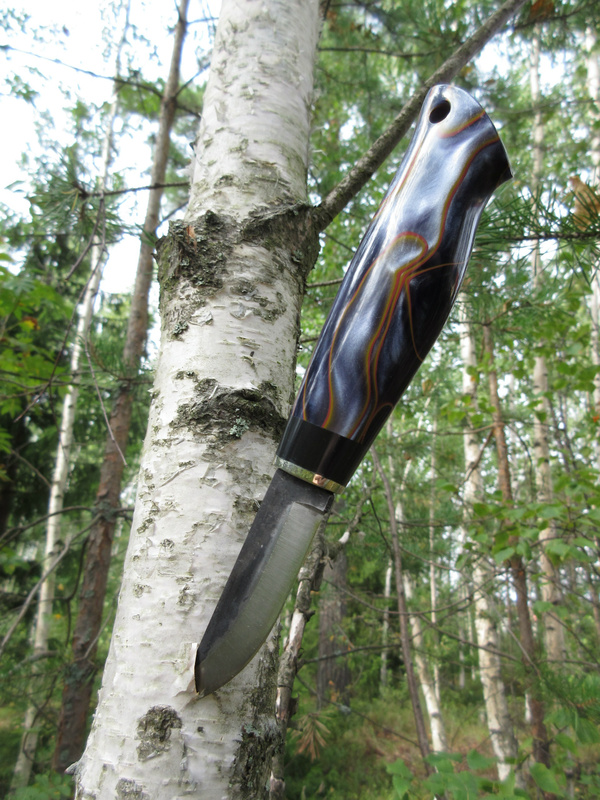 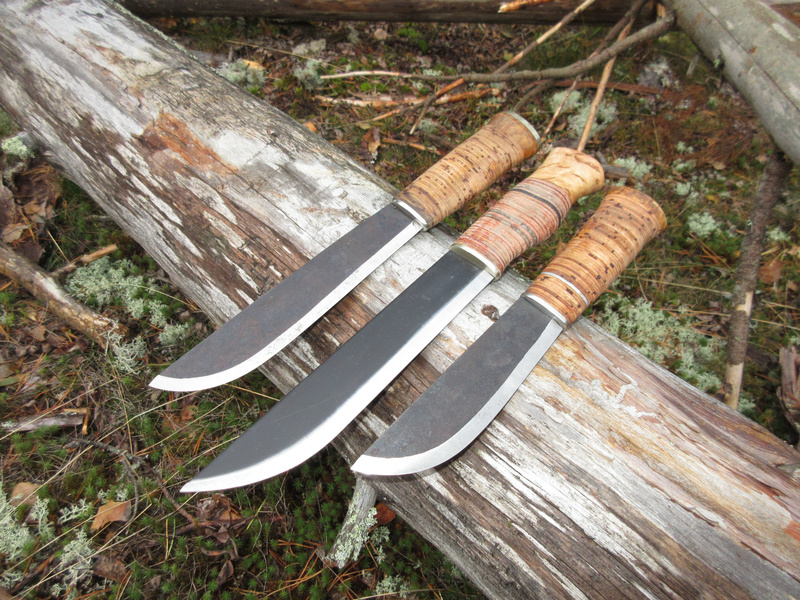 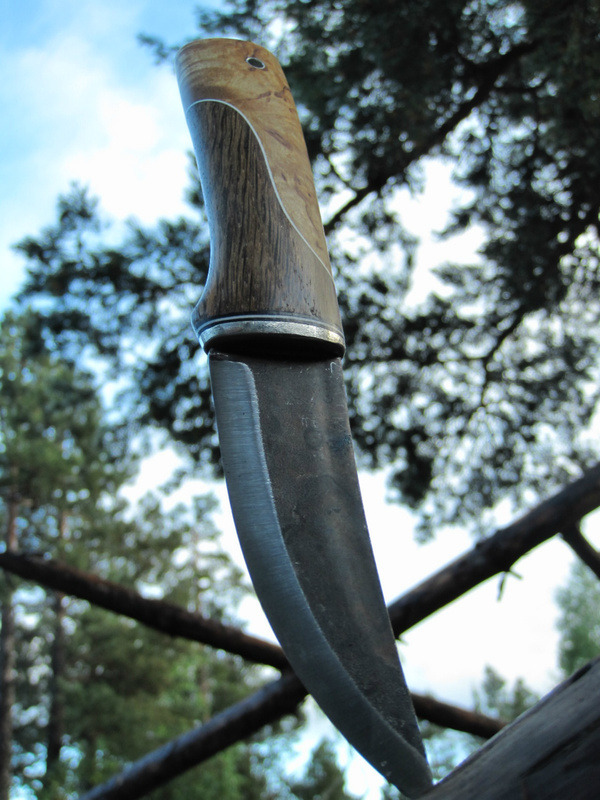 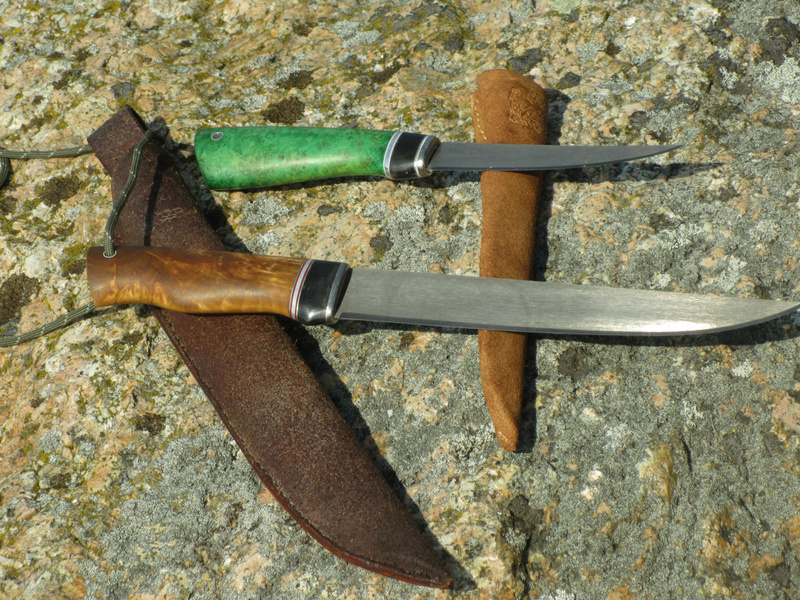 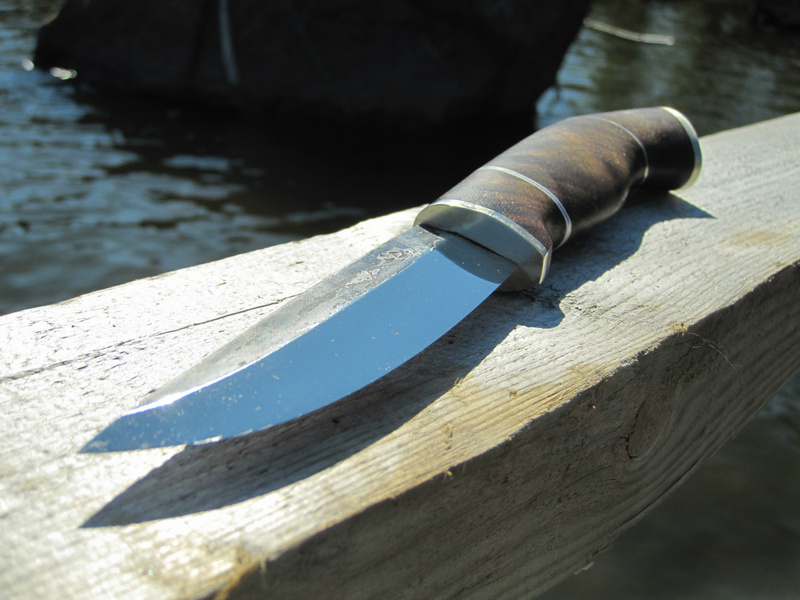 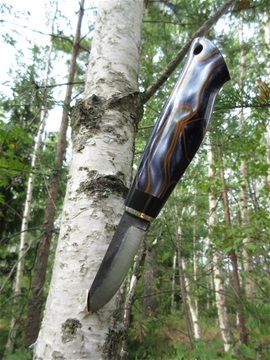 Picture "Taromovies"
I'm a Finnish knife making hobbiest from Finland. 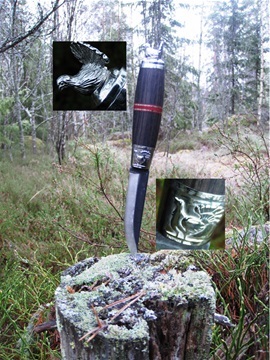 In these pages you can find pictures of my knifes. I buy the blank knife blades from knife factories and that's where I start my hobby making a handle for the knife by using different kind of materials from wood to antler, acrylic etc. 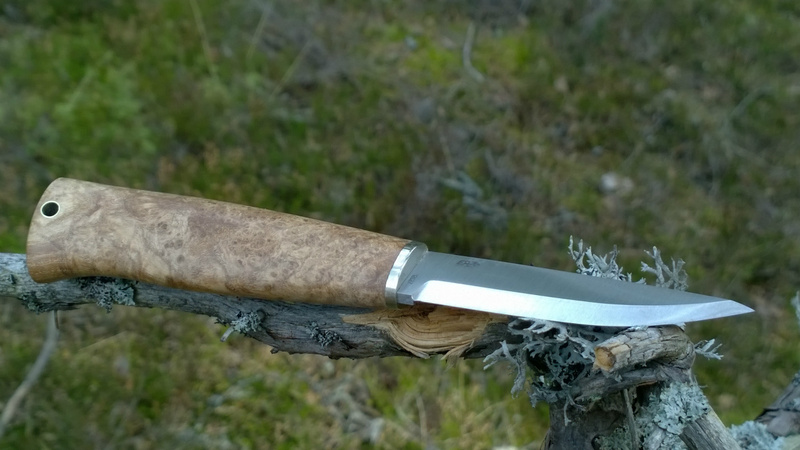 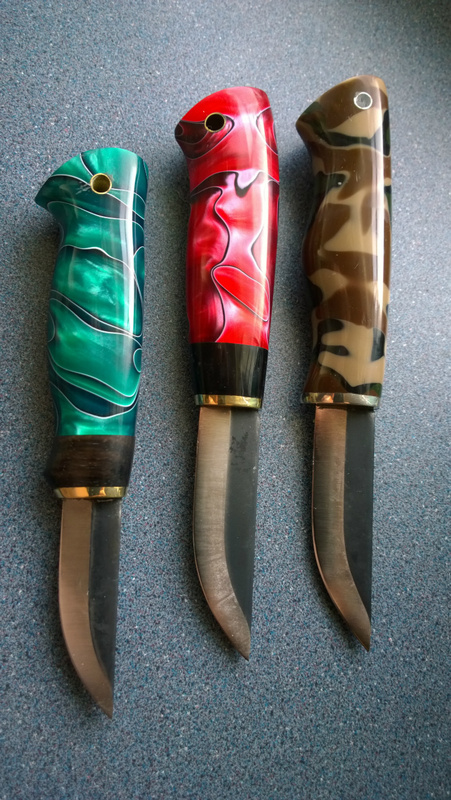 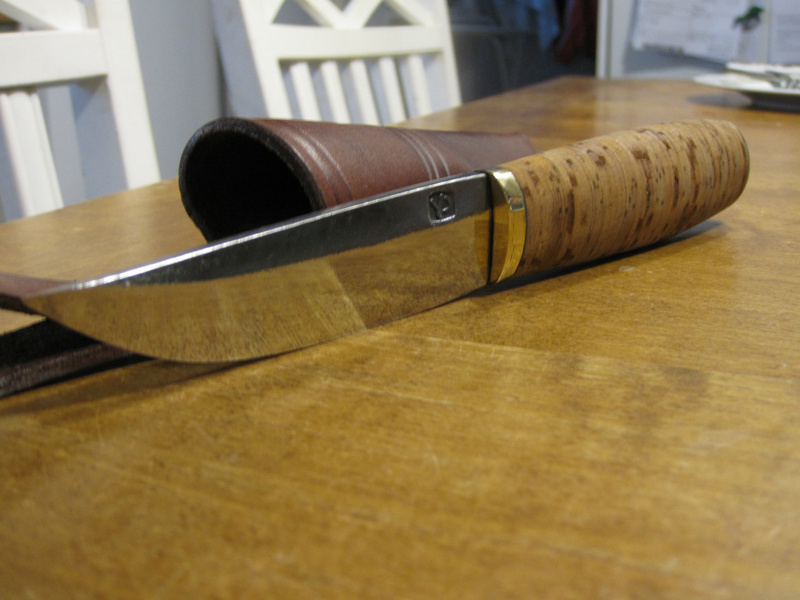 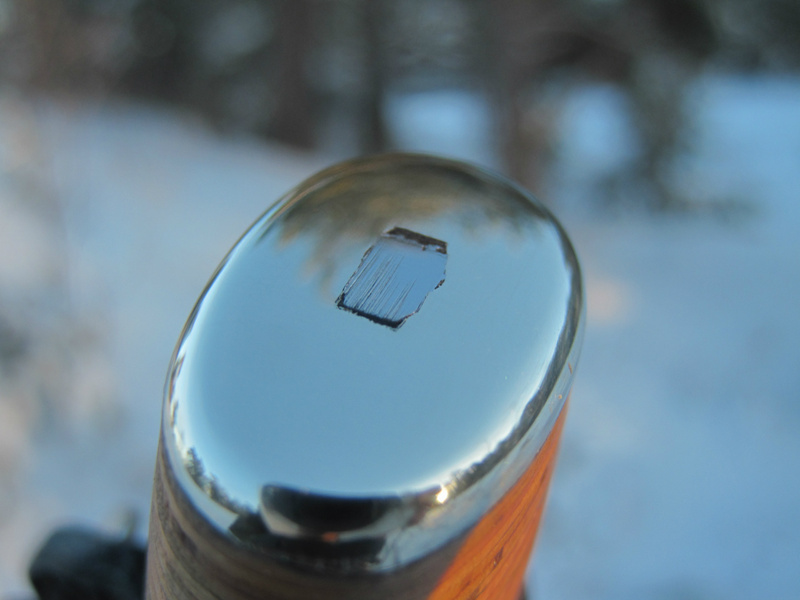 To mention some blades and knife brands that I have customized... Roselli, Enzo, Helle, Lauri, Fällknifen, Polar, Puronvarsi, Karllson, Mora, Anssi... 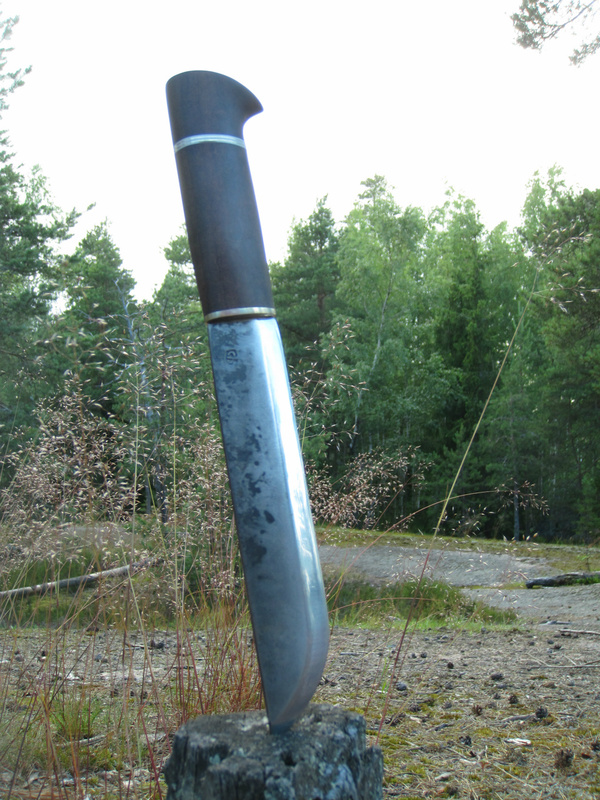 Mainly my works are scandi type knifes but fulltang knifes will do fine, too. 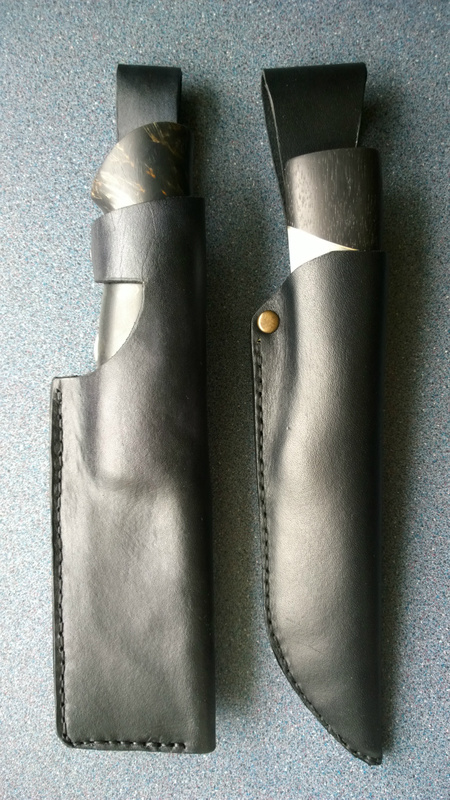 After finished the knife I start making the sheath. 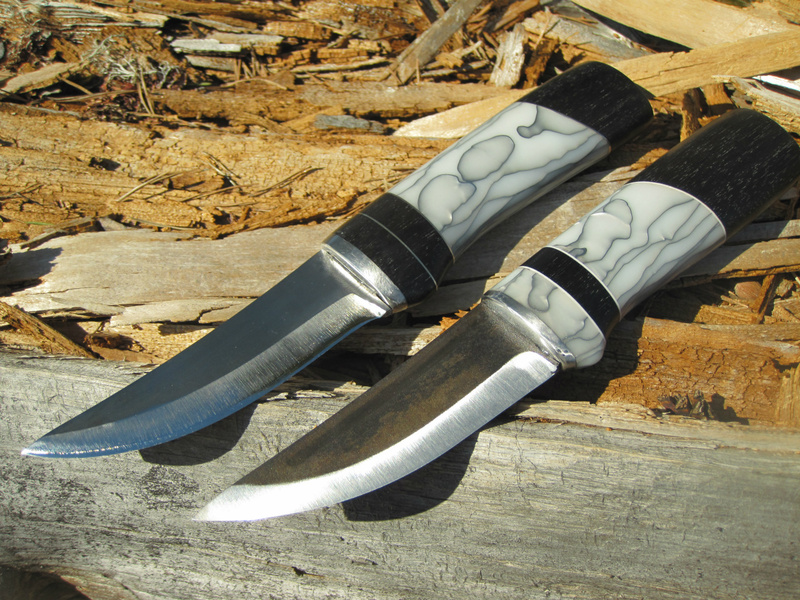 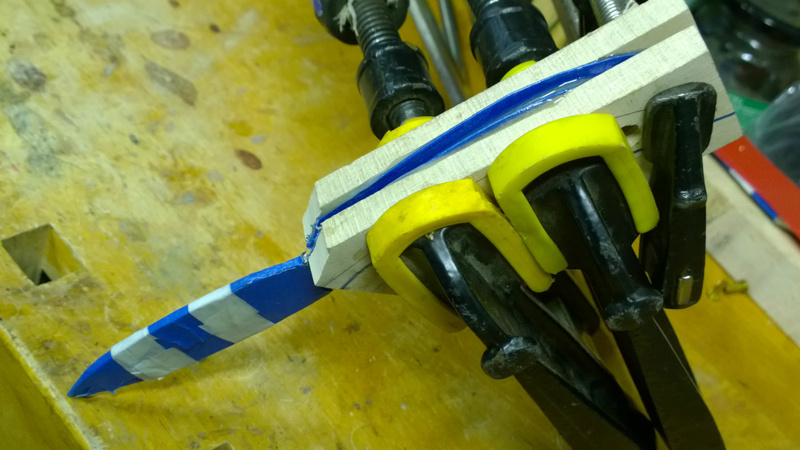 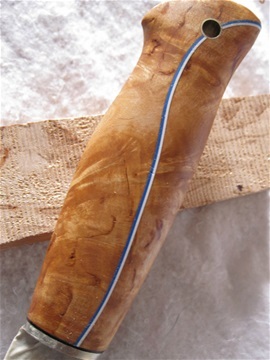 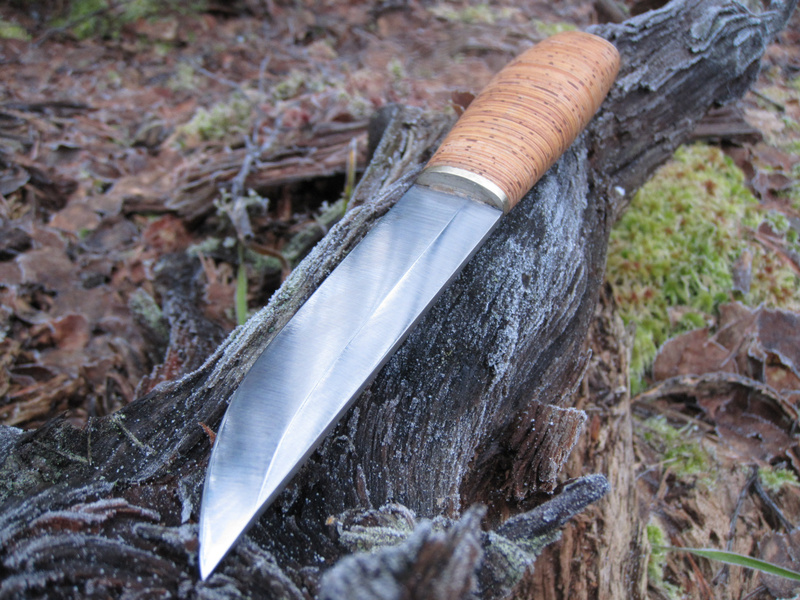 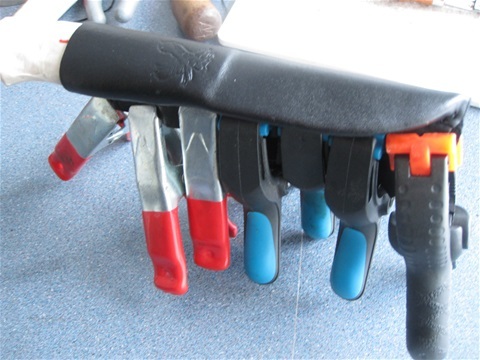 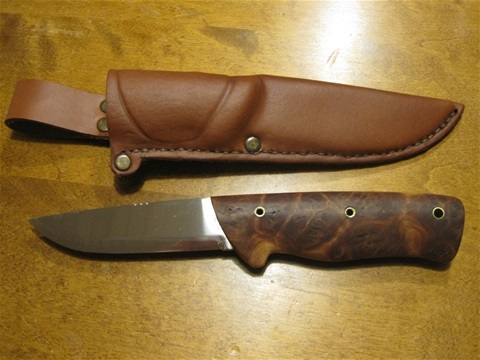 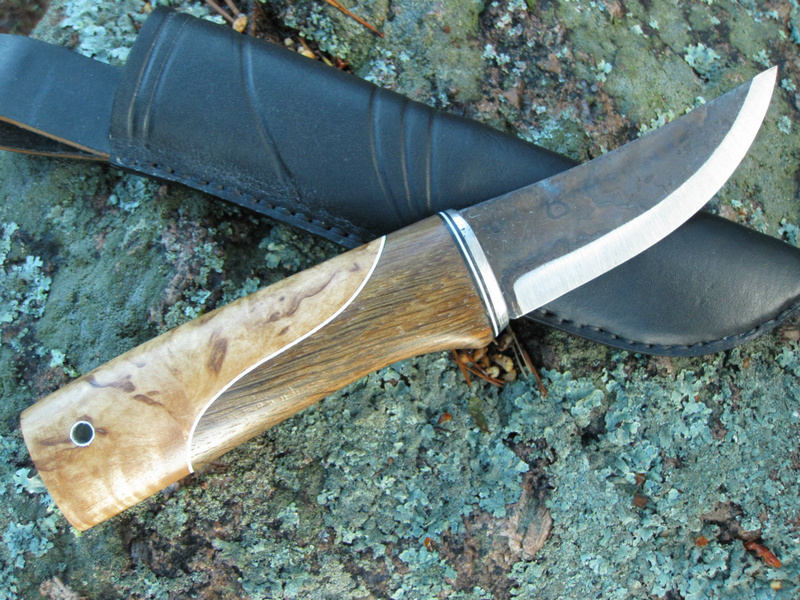 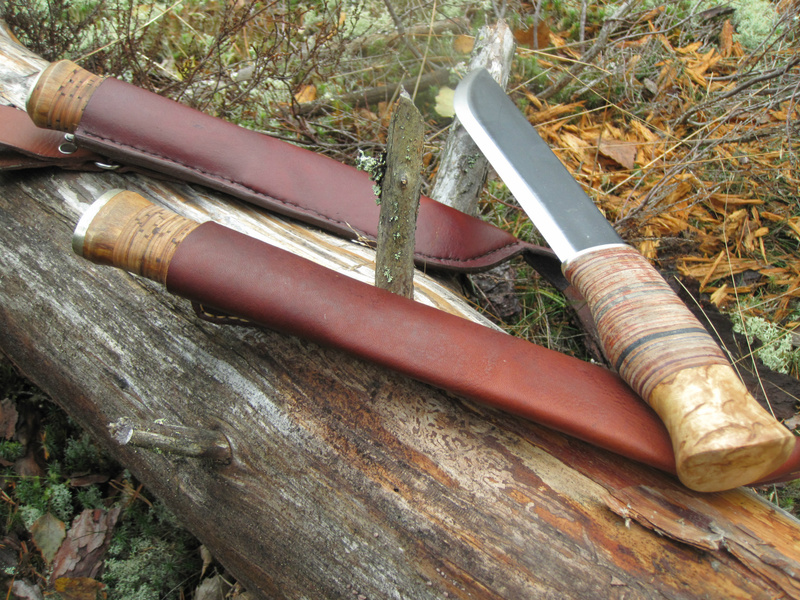 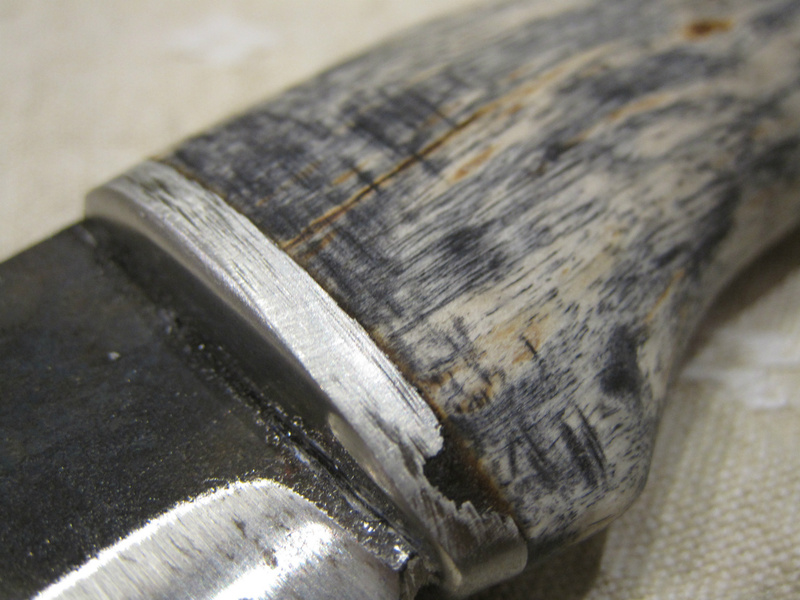 The sheat is most demanding and time-consuming work in knife making. 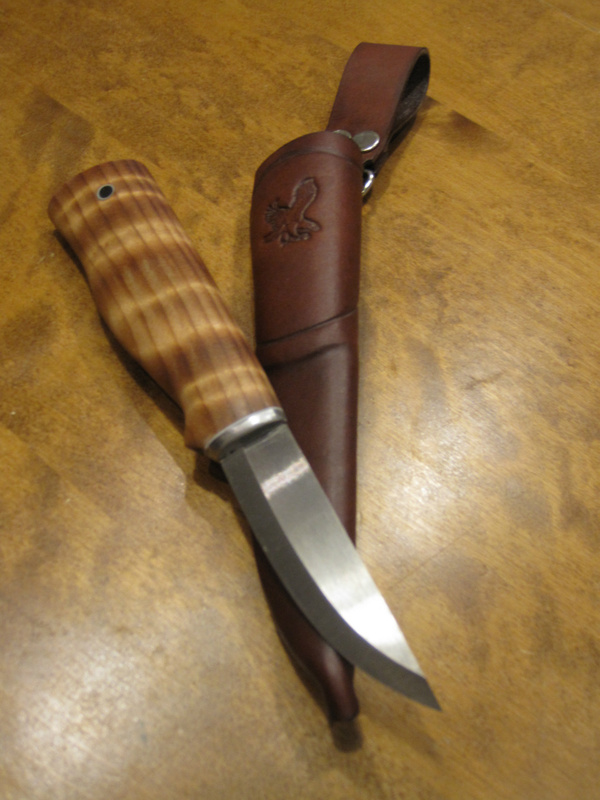 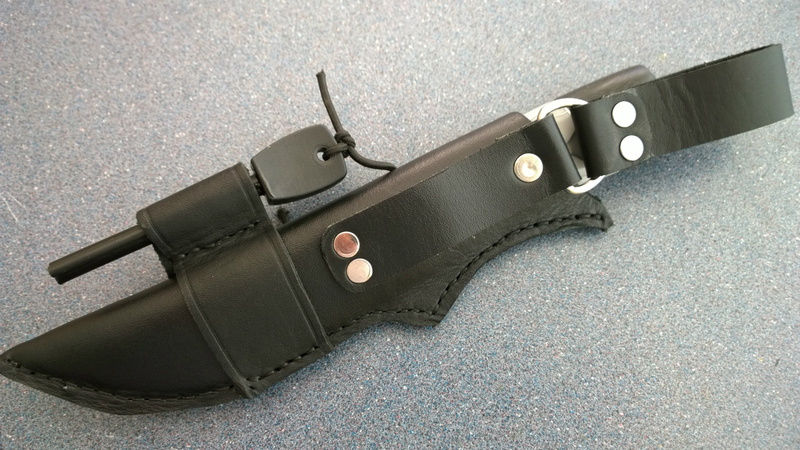 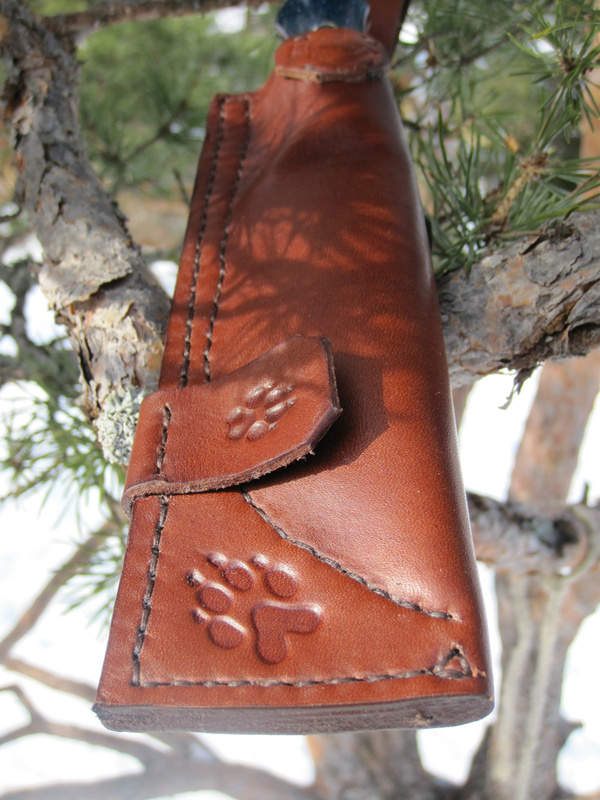 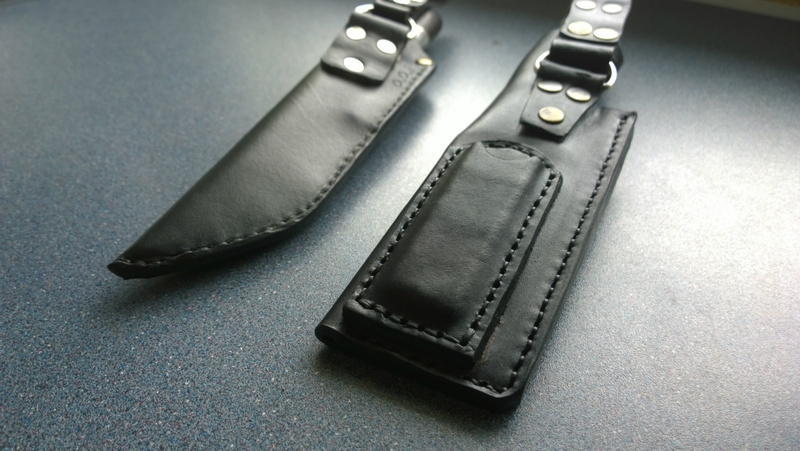 There are lot of little details in knife making but also with sheath making. I could make a list of more than hundred stages to finish the knife and a sheath for it. 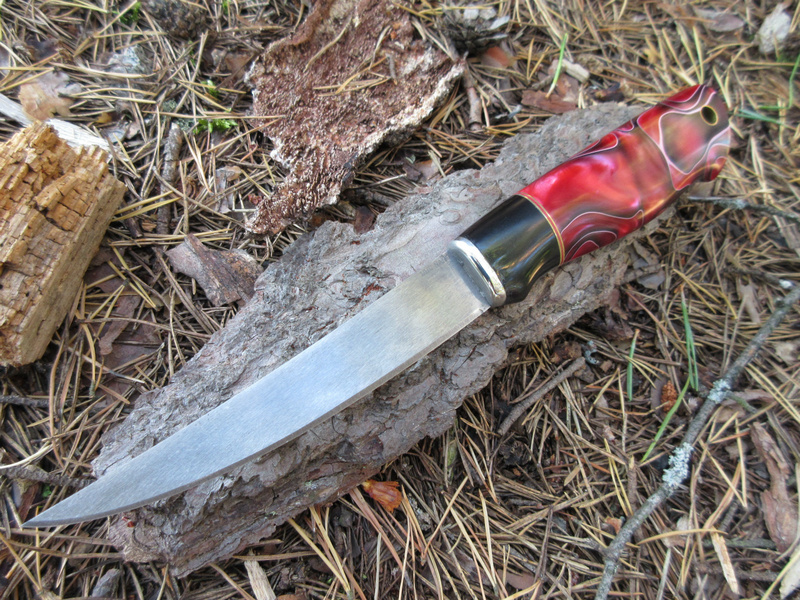 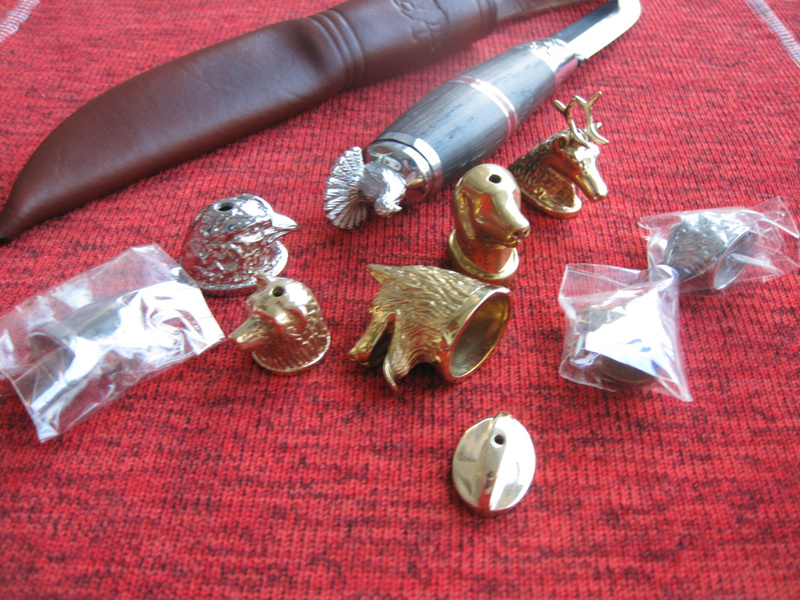 Please look at some sample pictures about knifes that I have made. I have got experience of hundreds of custom knifes and delidered them to all the continents in the world. Feel free to comment and enjoy what you see!